If you're a teenager applying for your first driver's license, Driver's Ed is an optional step in the graduated driver license (GDL) program required by the Alabama Department of Public Safety (DPS) . Completing a driver's education course can be used to satisfy the behind-the-wheel practice required to obtain your driver's license. Driver's Ed can help you to better understand the safe driving techniques required to ace the DMV road test. On this page you'll find information about completing a driver's education course and your next steps towards obtaining your first driver's license in Alabama. When do you take Driver's Ed in Alabama? Older than 18 years old. At least 16 years old and are married or head of your household. 17 years old and have held a valid drivers license for a minimum of 6 months. Complete at least 30 hours of behind-the-wheel driving practice with a licensed driver who is at least 21 years old. Complete a Driver's Ed course approved by the Alabama State Department of Education. You can generally enroll in a Driver's Ed course once you turn 15 years old. NOTE: You DO NOT need a learner's permit to participate in a driver's education program. Driver's Ed in Alabama is offered by most private and public high schools and some licensed and approved driving schools. Offered as an elective over the course of 1 semester. Available to 10th grade students who are eligible for a learner's permit. Divided into behind-the-wheel instruction and at least 50 hours of classroom training. NOTE: At this time, the Alabama DPS DOES NOT ACCEPT online driver's education. However, students choosing not to enroll in Driver's Ed may consider completing an online course to better understand the driving techniques required to pass the DMV road test. Your responsibilities as a driver. Reacting to different driving conditions. Generally, after you complete the classroom portion of your Driver's Ed course, you will begin your behind-the-wheel training with the driving instructor. 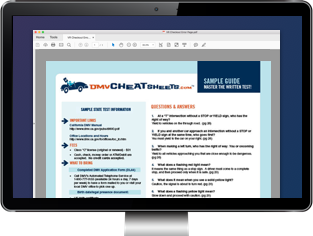 NOTE: Some course providers are licensed to administer the DMV written test, vision exam, and road tests required to obtain your driver's license. Check with your high school or driving instructor for details. Once you satisfy your Alabama Driver's Ed or supervised driving requirement and are at least 16 years old, you'll be able to take the road test and obtain your restricted driver's license. For more information, please see our Applying for a New License (Teen Drivers) in Alabama page.